On 10/28/2017, Peyton Lance Pickett (19) was arrested for Robbery 1st. Assault 1st, Possession of Marijuana 1st, and two counts of Unlawful Possession of a Controlled Substance which occurred in the 200 block of South Oates Street. His bond was set at $125,000.00. On 10/24/17, Dothan Police responded to a vehicle crash involving a pedestrian in the 800 block of N. Range Street. On 10/26/17, the Dothan Police Traffic Division arrested 40 year old, black female Latasha Rene Williams, of Dothan, for her involvement in the crash. Williams has been charged with Leaving the Scene of an Accident with Injuries, a felony. The Dothan Police Department would like to thank the public for all of the tips and information we received during this investigation. 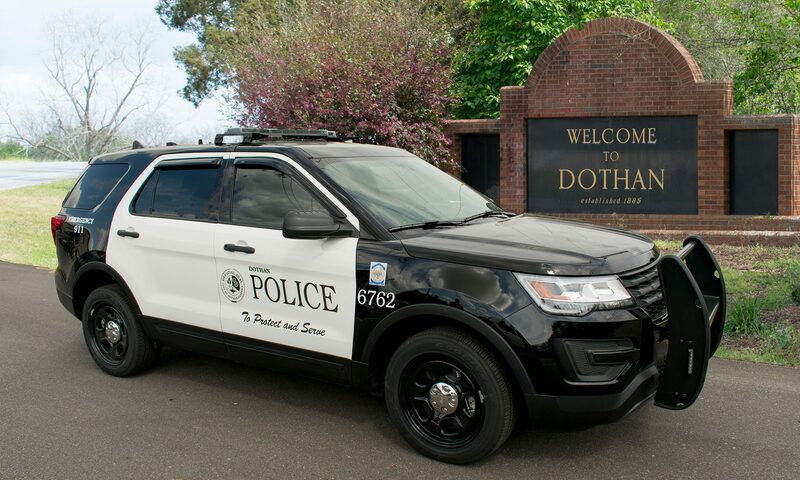 On Friday night, 10-20-2017, the Dothan Police Department was notified by Emergency Room Staff of Southeast Alabama Medical Center that a juvenile victim had been brought to their facility with severe burns. Once patrol officers determined the severity of injuries, Criminal Investigators were notified and began an investigation into the incident. The investigation revealed the 10 year old victim had a flammable hair product poured on him by his 12 year old sister. After the flammable product was poured on him, his sister intentionally ignited the product with a cigarette lighter. As a result, the 10 year old victim received severe burns to a large portion of his body to include his back, side, arm and underarm. Due to the extent of the injuries, the victim was immediately sent to Children’s Hospital of Alabama in Birmingham for treatment in the Children’s Burn Unit. The victim is expected to survive; however, he will have a lengthy recovery and permanent disfigurement. The Houston Henry County District Attorney’s Office was notified and the 12 year old female suspect was subsequently charged by the Dothan Police Department with Assault 1st Degree. The presiding Houston County Judge remanded the custody of the suspect to a family member, under the monitoring of a DHR Safety Plan. Assisting in the ongoing investigation is the Houston County Department of Human Resources and the Houston County Juvenile Court System. From here, the case will proceed through the Houston County Juvenile Judicial System. Due to the fact all parties involved in this case are juveniles, their identities or any additional information cannot be released. Note to our Media partners: As you know we normally release a crime scene photo or injury photo for your use in presenting the news to your viewers and readers. Due to the extent of these injuries, the decision has been made not to release any pictures from the scene or of any injuries. All persons arrested are innocent until proven guilty. On 10/25/2017, David P. Harris (20) was arrested for Theft of Property 3rd which occurred in the 4600 block of Montgomery Highway. His bond was set at $10,000.00. On 10/24/17 at 6:40 pm, Dothan Police responded to a motor vehicle crash involving a pedestrian in the 800 block of N. Range St. The pedestrian was transported to Southeast Alabama Medical Center where he was pronounced deceased. The victim has been identified as 56 year old b/m Dwayne Holloman of Dothan. The driver of the vehicle failed to stop and left the scene of the crash. The vehicle is described as a black or dark colored Saturn. The vehicle should have front end damage and should be missing at least two hubcaps. If you have any information about the crash, vehicle or the driver, please contact the Dothan Police Department at 334-615-3000 or CrimeStoppers at 334-793-7000. The crash is being investigated by the Dothan Police Department Traffic Division. The Dothan Police Department wishes to extend our sympathies to the Holloman family. On 10/22/2017, Robert Eugene Williams (54) was arrested for Attempted Assault 1st which occurred in the 100 block of West Saunders Road. On 10/23/2017, Victoria Nicole Dillard (23) was arrested for Chemical Endangerment of a Child which occurred in the 900 block of Honeysuckle Road. Her bond was set at $10,000. On 10/15/2017, the Police Department was contacted regarding a two month old infant that was being treated for a significant head injury and multiple broken bones at the Southeast Alabama Medical Center. After a lengthy investigation, Joseph Alexander Pitts (24) was arrested for Aggravated Child Abuse. His bond was set at $500,000.